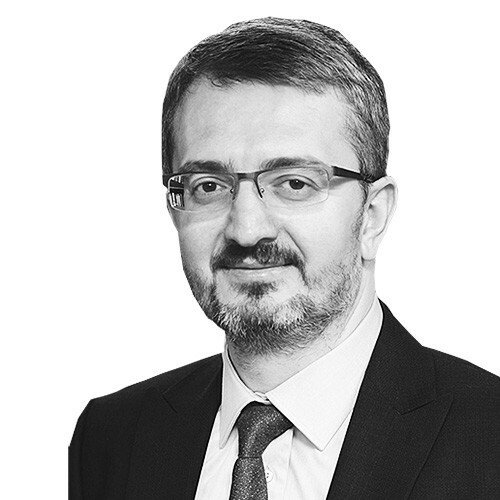 Current tensions between Turkey and United States are unprecedented and Ankara’s diplomatic efforts to improve relations have been met with anti-Turkish sentiment in Washington, said Burhanettin Duran, the head of Turkish think-tank SETA, in his column for pro-government Daily Sabah on Saturday. The relations between tow NATO allies have soured since the start of the year over Turkey’s purchase of Russian S-400 missile systems. Leading U.S. senators wrote in the New York Times on Tuesday that Turkey’s purchase of the Russian weapons would require Washington to impose economic sanctions and halt delivery of F-35 fighter jets. Senators Marco Rubio and Robert Menendez also introduced a bill on Tuesday demanding a halt to the delivery of 100 U.S. F-35 fighter jets ordered by Turkey if it completes its purchase of the S-400 missile system. Beyond the S-400 issue, the new bill signals a significant change to Washington’s approach to the Eastern Mediterranean, where Turkey is at odds with the Greek Cypriot-dominated government of the internationally recognised Republic of Cyprus and its main ally Greece over territorial and mineral rights. Another bill introduced on Apr. 10 by two U.S. senators urged President Donald Trump to impose sanctions on Turkish bureaucrats who have links to the detentions of U.S. citizens and consular staff. Duran added to this list another resolution calling for the recognition of the Armenian genocide and a new travel advisory of the U.S. State Department warning Americans against the risk of kidnapping in Turkey. Moreover, David Satterfield, the nominee to become the next U.S. ambassador to Turkey, vowed to “challenge Turkey to uphold its domestic and international human rights commitments” and “live up in full to its status as a NATO ally” at a Senate Foreign Affairs Committee meeting on Thursday. According to Duran, Washington seeks to maintain what he calls the asymmetrical nature of the relationship between two countries by constantly pressuring Ankara. He said the United States’ short-term tactical interests were at odds with Turkey’s long-term strategic interests, adding that Washington also did not feel responsible for its ally’s welfare. “Instead, the Americans insist that they are right every time there is a disagreement between them and the Turks. This view gives rise to a discourteous policy that blames Turkey for all bilateral tensions. At the same time, false conclusions poison the bilateral relationship,” he said.